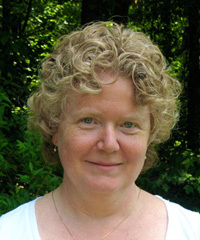 I am Caroline Kenner, a shamanic healer from Silver Spring, Maryland, outside Washington, DC. I am not accepting new clients at this time. However, through my shamanic school, Gryphons Grove, I have trained a number of people, some of whom accept clients. I practice modern American eclectic shamanism, as do the majority of my graduates. I trained mostly with Michael Harner and Sandra Ingerman over the course of more than ten years. I have been journeying for almost thirty years, and have now retired from my shamanic healing practice. Here is more about my shamanic education. Teaching shamanism and shamanic healing is one of my greatest joys. I teach from the Blueberry Gardens yoga center in Ashton, Maryland, and at various festivals and conferences in the mid-Atlantic region. I also help organize a conference on metaphysical spiritualities and mystical religions held annually in the Washington, DC and Baltimore area, the Sacred Space Conference. Shamanism and shamanic healing have been nurtured in tribal cultures for millennia. Brought home to the West by anthropologists and adventurers, shamanic healing has survived every human cultural shift from the Neolithic through the New Age for one reason: shamanic healing works. You, too, can experience an ancient form of healing. Try shamanism.